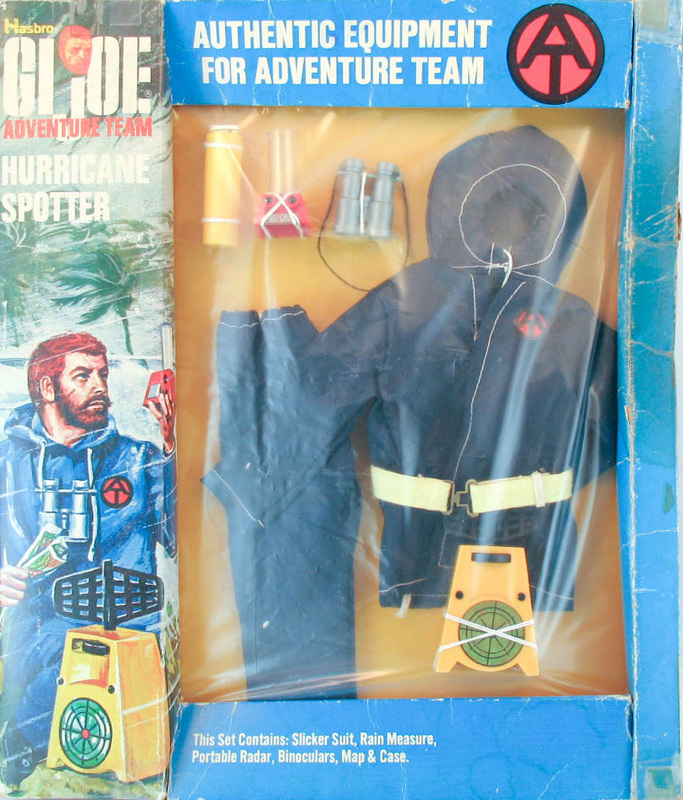 Hurricane Spotter (7343) makes Joe a storm chaser, ready to report dangerous weather conditions. The blue nylon slicker suit can run and fray, so it doesn't stand up well to tough play. The rain gauge is one of the most off-beat accessories in the line; it doesn't really scream adventure. The yellow belt was not included in later issue versions of the set.